One of the main sights of the beautiful small, walled city of Castiglion Fiorentino, between Arezzo and Cortona in Valdichiana, is its fortress, the Cassero, completed in 1367. In the 15th century, the nuns of San Girolamo used the fortress as a convent, and by the 19th century much of the fortress had been destroyed, with the remaining structure used as a prison. 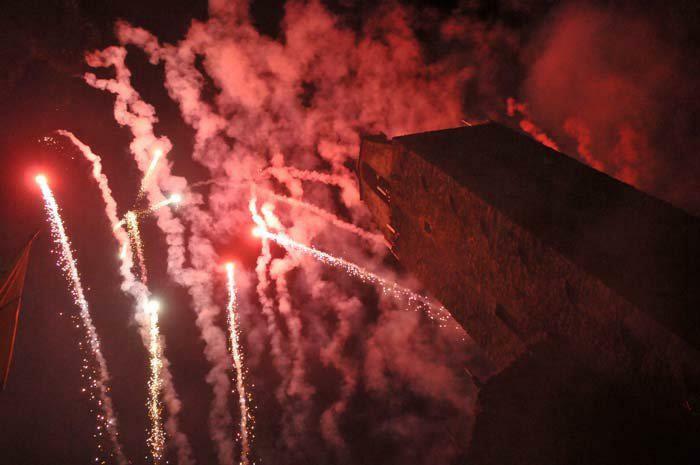 Today the district surrounding the remaining tower, Rione Cassero, is renowned for organizing an impressive medieval festival called the Festa Medievale BiancaAzzurra, white and blue like the colours of its coat of arms. 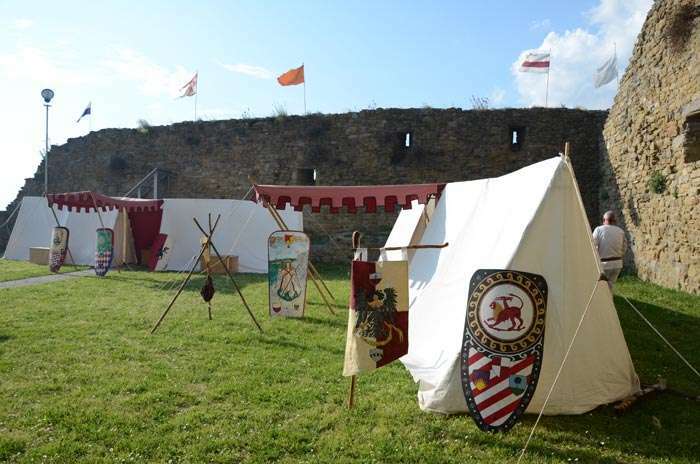 The event is an re-enactment of the medieval history of Castiglion Fiorentino and is held in the large square in front of the Cassero tower during the last weekend of May and the first of June. 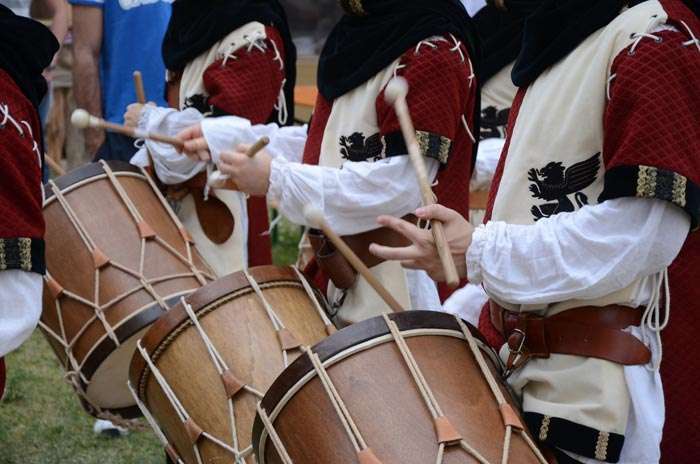 Originally conceived to celebrate the first twenty years of activity of Rione Cassero’s Historical Musician Group, the first festival was so successful that this year it reaches its 14th edition. 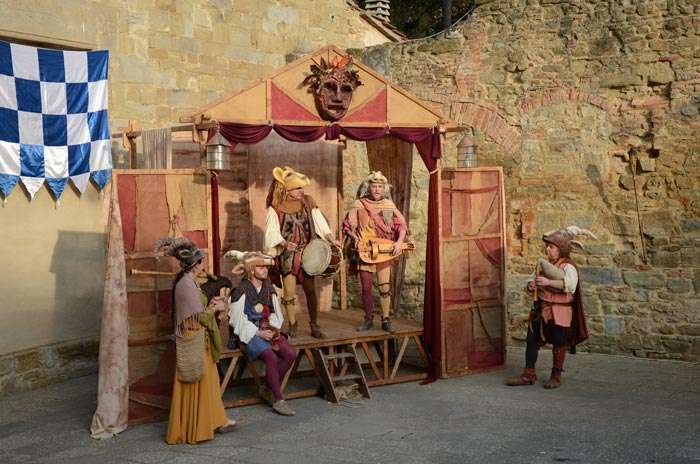 Visitors have free admission to Piazzale del Cassero where they can attend performances of various artists: falconers, jugglers, musicians, swordsmen, flag wavers, sword eaters and jesters. 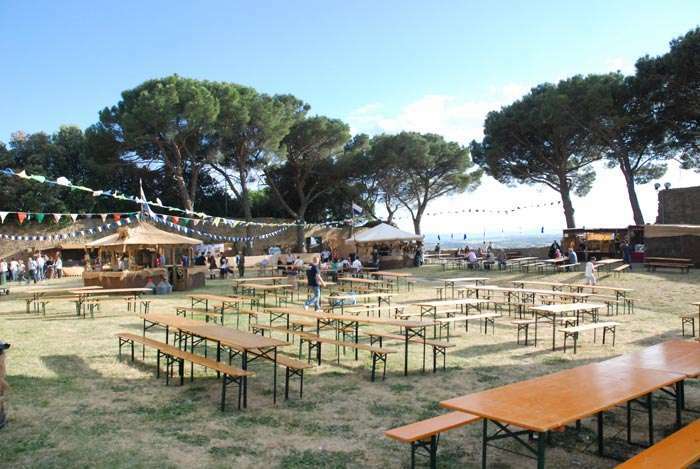 Other extra features are the medieval inns skirting the Piazzale offering local wine and a vast array of traditional Val di Chiana dishes which can be enjoyed at the long tables with benches scattered around. Everywhere the locals intermingle dressed up in their medieval costumes. Some run the market stalls where it is possible to find interesting local handicrafts. Others are busy cooking and serving dishes. They are all there to have as much fun as their guests and they do an excellent job of it. This year the event will be held from May 29th to June 2nd and again from June 5th to 7th. The town is beautiful to visit also in other periods of the year and its surroundings are gorgeous. 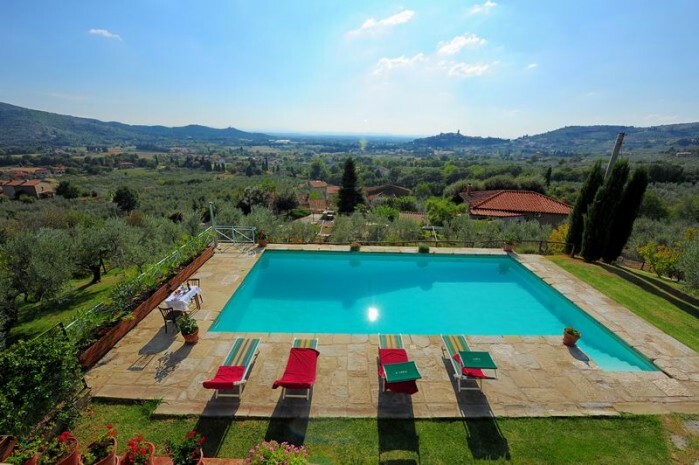 Nearby on a hill is a stunning stone villa for rent with swimming pool. It can comfortably accommodate up to 8 guests and enjoys a breathtaking view over the valleys of Val di Chio and Val di Chiana. Certainly worth a visit. Questa voce è stata pubblicata in Accommodations in Tuscany, Culture in Tuscany, Events in Tuscany, Events in Valdichiana, Festivals and feasts in Tuscany, Folklore and accommodations in Tuscany, Tuscan food and wine, Villas in Tuscany e contrassegnata con Arezzo, Castiglion Fiorentino, Cortona, Festa Medievale BiancoAzzurra, Rione Cassero, Val di Chiana. Contrassegna il permalink.